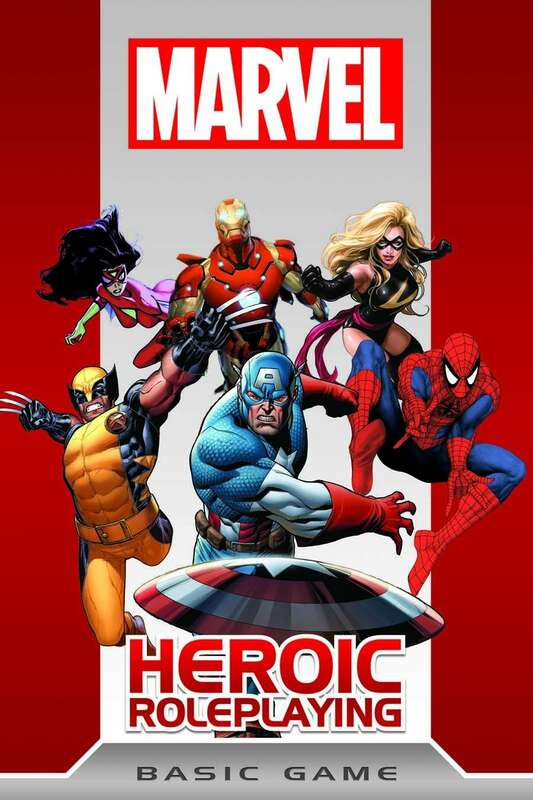 Marvel Heroic Roleplaying is Here! The PDF for Marvel Heroic Roleplaying is here and available via DriveThruComics, along with the other fine members of the OneBookShelf family of PDF sales sites. Experience all of the pulse-pounding action and nail-biting drama of the Marvel Universe at your gaming table. It’s one thing to stop an alien invasion or throw down with the Juggernaut, but sometimes you’ve got to make the hard choices—will you let a dangerous villain escape in order to save an innocent life?. With the MARVEL HEROIC ROLEPLAYING Basic Game, that great power and great responsibility is yours. 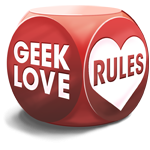 This is the newest licensed game from Margaret Weis Productions, and it uses a variant of their Cortex+ rules that power games such as Smallville and Leverage. Expect a review of it soon. Each month One Book Shelf, the people that run DriveThruRPG and RPGNow give out a special 20% off code for certain products. These are the PDFs that you can get at 20% off this month. If you've been waiting to pick up any of these great books, now is the time. As usual, all of these links have affiliate codes that raise money for things that can be reviewed here on the Blog. This coupon code is good until March 14th, 2012. These probably aren't going to be long posts, but this is going to be the first in a series. Before Image Comics and before creators like Robert Kirkman, there were independent comic publishers championing the cause of creator ownership in comics. 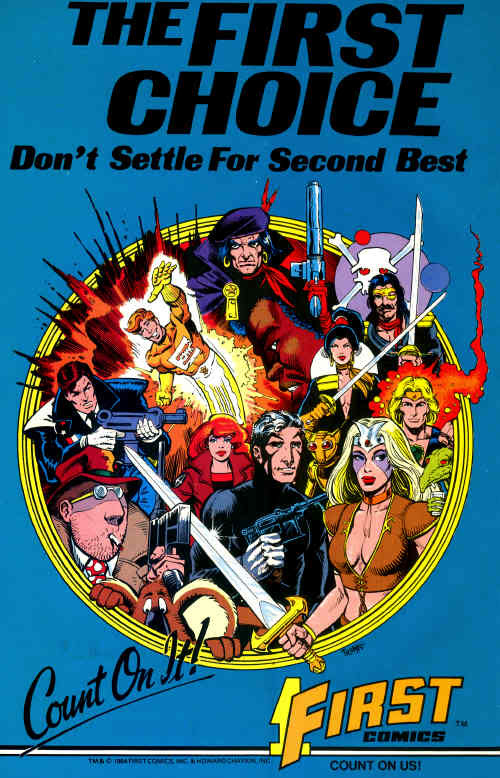 Today we are going to talk about two of these publishers: First Comics and Caliber Comics. I'm going to start with these two because they were the companies that I was most familiar with back in the day because of their proximity to me at different points in my life. 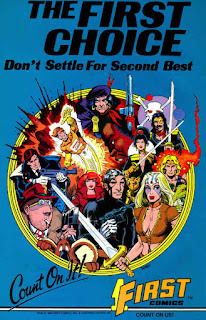 First Comics was a Chicago-based company best known for comics like Dreadstar, Nexus, Badger, Jon Sable, Grimjack and American Flagg, bringing us creators like Tim Truman, Howard Chaykin, Steve Rude, Mike Baron, John Ostrander and others. Detroit-based Caliber is known for publishing books like Deadworld, The Crow, and Baker Street, as well as starting the comic careers of creators like David Mack and Brian Bendis. So, the battle for The Walking Dead between Robert Kirkman and Tony Moore continues. The exact nature of Moore's role in the first six issues appears poised to become a key element of the dispute: While the artist's complaint identifies him alternately as co-creator, joint author and co-owner of the copyrights in "The Walking Dead" (and the other comics), Kirkman and his attorney Allen B. Grodsky repeatedly emphasize Moore was credited as "penciler, inker and gray tones"; Kirkman even provided The Hollywood Reporter with scans from the first few issues as further proof. The 2005 agreement spells out that Moore is to only share "created by" credit with Kirkman on "Battle Pope." "Robert procured our agreement by deception," Moore told CBR. "He then failed to perform the agreement. While he has paid some royalties, he has refused to provide the documents and information he is required to provide under the agreement and which are necessary to confirm that he has paid what is owed. I have tried to obtain this information by means other than a lawsuit but have been denied and stonewalled in every attempt by Robert and his sharp-elbowed handlers. His conduct is unlawful and immoral, and he ought to be held accountable. He can try to falsely minimize my contributions, but both he and I know the truth, which I believe will be revealed in the course of this lawsuit." There is a dark underside to geek culture. It's really a part of human nature in general, but it seems to rear its ugly head in geek culture much more than it should. In the last few weeks, that ugly head has been rearing higher, uglier and shouting more loudly than I think it has in the past. The internet is a big component to this. Give people relative anonymity and the freedom from physical repercussions that they would get for delivering this level of nastiness in person, and you have a recipe for trouble. When we like someone, or the work they have done. We want to elevate them. That happens often times with creative people. We raise them up and up and up, until they are elevated to the levels of "genius" and "god." They can do no wrong at this level of elevation. The problem is, these are still people...humans that are capable of mistakes and stupidity and carelessness, just like the rest of us. These elevated creators speak, and the cracks in their divinity start while their humanity shows. Then you have two choices: you stick by your elevation and defend the person, ignoring what you have to in order to keep them up on that pedestal that they've been elevated up onto, or you look at the facts and come to terms with the fact that the perfection that you've created in your mind isn't realistic. There is only one infallible creator, and not everyone accepts the existence of him (or her depending on the flavor of your faith). No one in any medium, whether comic books, movies, music, high or low art, literature or any other artistic endeavor, produces a perfect body of work. For every Watchmen there is a Neonomicon. A fallacy of this line of thinking, which honestly might be derived from one of the Geek Social Fallacies, is the idea that if you do not totally except every bit of work of one of these "geniuses" as being genius, you are not a fan. Apparently, being a fan is like betting on Texas Hold-Em sometimes...you're either all in or you aren't in the game. This is, frankly, the tip of the iceberg of a potentially dangerous personality issues. Some people derive too much of their identity and/or self-worth from their fandom that they construe any "attack" against what they are a fan of as being a personal attack. You see this online a lot, and I have even dealt with it offline when someone attached to one of the popular online gaming forums left a gaming group we were both a part of, because I "hated on the board" because I felt (and still feel) that their reviews were poorly written and mostly missed the point of reviews. We really shouldn't support this sort of behavior, as geeks or as humans. I don't think that I should have to explain why we shouldn't support or enable bad behavior, so I'm not going to bother with it. There is a flip side to this phenomenon, something that grows more out of fan entitlement than out of fan worship. That is the idea that the fans know more about the property than those producing it, even when evidence (trivial things like sales) shows otherwise. This is an entirely different cult of personality, one that can often be driven by personal agendas that people want to be more widely followed. We see a lot of this in the "edition wars" between the fans of the various editions of D&D, particularly with those fans of more recent editions attempting to push their social agendas into the mainstream. Then they reply with anger and attacks when those agendas are not accepted, or are mocked openly. We are a varied people, us geeks. There's nothing really wrong with that, we just have to learn to be more accepting of ourselves, others, and the opinions of others. Today, I present something All-New and All-Different for the Dorkland! blog (please always remember the exclamation point)...a guest post from someone wanting to break into the fine art of blogging. Today I present Annah Shilts, talking about the Maid RPG. I'm sure that many of you who follow me (the Chris me) here and on the various social media sites around the web know that I'm a big fan of the Maid RPG, and picked up a copy from the initial press run a couple of years ago when it debuted at GenCon. I've been lucky to talk with the translators/publishers of the English-language edition of the game (and I've worked with Ewen on Open Anime for Battlefield Press). The link above is to Annah's profile on Google Plus (where she I and first encountered each other). If you're a gamer and you're not on Google Plus you really should look into it. It is a hotbed of gaming discussion and perspectives, with only a minimum of the hassle that you will find in online forums for gaming. I have another couple of people who have discussed wanting to do guest posts on here, so I guess we will see where this one goes. What we have are Annah's thoughts and impressions from her first time playing a game, that just happened to be Maid. After the jump you'll find more about her experience. First, a little about this random person writing to you: Hi, I’m Annah. A twenty-seven year old librarian with lots of red hair, not enough time and way too many hobbies. I’m classically trained operatic singer, dream of being a voice actor, and have a David Tennant cardboard cutout in my living room. I’ve been playing games since my father brought home a very old Pong console when I was four. Since then I’ve gone the gauntlet of Sega Genesis to Play Station 3. I am new to tabletop RPGs. I was raised a (fairly) well behaved Christian home schooler from kindergartener through high school. Dungeons and Dragons were demonic and RPGS nearly so. Lord of the Rings and freaking Chronicles of Narnia were considered too full of magic and witchcraft for little old me. 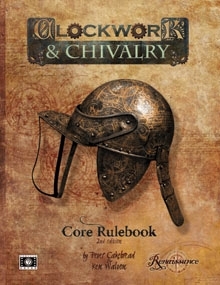 Building on the streamlined OpenQuest rules (which were in turn derived from the MRQ1 SRD), the second edition of Clockwork and Chivalry comes storming out of the gate and into a growing pack of games building on the foundation of either Mongoose's Legend/RuneQuest rules or Chaosium's BRP system. For those who do not know, OpenQuest is a fantasy game, a retro clone of earlier editions made possible by the OGL, much like the many Old School Renaissance games were made possible by the d20 SRD material. One "fault" that I had with the OpenQuest rules were fixed in Clockwork and Chivalry was the lack of Professions. I like Professions because it is a way for players to customize their characters, without adding a lot of detail. Professions can emulate the best parts of class-based RPGs, without some of the drawbacks that go with class-based gaming. Clockwork and Chivalry also crank up the Faction/Cults rules, by giving them a bit more mechanical strength. The addition of the idea of Righteousness Points is a little complicated at first, but they give a reason to have a Faction/Cult on your character sheet, besides just because of the fact that you can get some extra skills. For a game set in the 17th century, I think that this particularly helps to make your characters more of a part of the world of the game. I'm not particularly a fan of the naming conventions for spells. I understand that they are intended to give spells a more "authentic" feel, but the grammar of the spells' names just come across as forced to me. And while I like the idea of Satanists and Satanic Witches in the game, I'm not as happy with making the Satanic Witch more powerful than other forms. I understand why the authors choose this route, but I don't particularly agree and that is something that would more than likely get house ruled into a change for me. I do like the effort that the authors put into making a justification for an adventuring group, and in putting some effort into making these groups fit together. That is something that can be a hurdle for many group, trying to justify why their characters are together, and it is particularly helpful in a historical game such as this one. A starting character in this game is not only flavorful, and starting with story ideas that can be developed from the first session, but they are not handicapped. This is definitely a game that is about capable characters doing big things in their world. It is also nice that the Professions are set up with historical fidelity, as well as ways around those "restrictions," if the group wants to play the game more ahistorically. This game does not scrimp on background or or setting material, so the group that wants to run a fantasy game outside of the box of the usual standards of fantasy gaming, or the group that wants to run historical settings but may not as expert on the time period as they feel that they should be are both supported by the setting material in this. There is more than enough background material for England and the important personages of the time and place to get even the most historically undereducated of people up and running for campaigning in this world. There are also a couple of very good starting adventures (complete with premade characters) to get games rolling. In short, Clockwork and Chivarly is a very solid game, one that builds on the strong foundation of d100 gaming. If you are looking for a fantasy game that is well-designed and that goes outside of the boundaries of what you will traditionally find in a fantasy RPG, this is the game for you. I am looking forward to seeing what comes next with this line, and the supplements that are forthcoming look exciting and will greatly expand the game and the world. The PDF version, while a bit pricy in my opinion is available from DriveThruRPG. As usual, there is an affiliate code attached that will help me pick up future releases to talk about here on my blog. Mongoose's Legend is the spiritual successor to the RuneQuest game originally developed and released by Chaosim Games and Avalon Hill, back in the 70s and 80s. Mongoose's Legend is the actual successor to their own RuneQuest game, rebranded and given a life extension after Mongoose gave up the license on the RuneQuest name. Much like the earlier incarnations of the RuneQuest game, Legend does one thing very well: it gives gamers a grittier alternative to the 800lb. gorilla of fantasy role-playing...Dungeons & Dragons. Inspired by, and derived from, the Basic Role-Playing System that has powered games such as RuneQuest and Call of Cthulhu, Legend is a fantasy game that relies on character attributes and skills, rather than classes and levels, to define the capabilities of a character. This might not be for everyone, and Legend would take some stretching to reach some of the power levels of that other fantasy role-playing game, but what Legend does...it does well. Character generation in Legend is a snap. Legend offers two manners with which to create characters: the tried and true random method as well as a point buy method. Either of these are capable of creating well-rounded and interesting characters. Coupled with guidelines for Veteran characters, you can make characters that run the gamut from starting adventurers to seasoned pros, in no time at all. Cultural Backgrounds and Professions let you decide who your character was before becoming an adventurer, leaving it up to you to determine what your character is going to be through play. Having the option of both random determination and focused point buy should make a spectrum of gamers happy. Heroic abilities give your character the sort of "legend"ary capabilities to grow into that will make them the match of any fictional creation. Task resolution is simple and everything is based off of the percentile dice, giving an intuitive way to explain what characters are capable of doing to both non-gamers, and gamers who may not be experienced with percentile-based game systems. Legend postulates a world filled with magic, more so that many other fantasy games available on the market. One of the things that sets this game apart from many other fantasy games is the concept of Common Magic. Common Magic, simply enough, is the inherent magic of the universe, those magical effects that anyone can use without having to go through the training and experience of most magic-using characters in other games. This helps to create a richer fantasy world where magic is a part of the every day. This might not be fancy or powerful magic, but it can be life (and game) changing. This is one element that has been with RuneQuest since the very beginning, and it surprises me that has not been adopted by more fantasy games. Having common, everyday magic within the reach of everyone makes for a fantasy that is so much more fantastic that what you find in a lot of role-playing games. The graphic design of Legend isn't fancy, but that isn't a problem. The black and white design is clean and easy to read. The illustrations, also in black and white, do a very good job of setting the tone for the game, and its implied world. 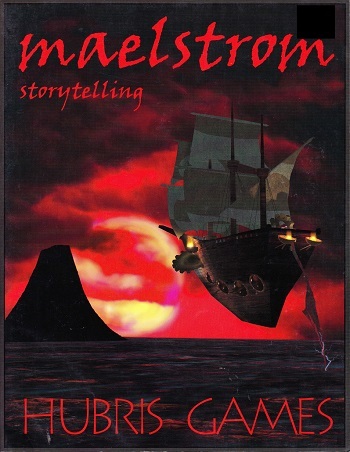 Legend may not have a default setting, like when Mongoose published it originally under the RuneQuest brand, but the implied world that comes across through the text, the art work, and through design choices like Common Magic, makes for a rich implied world that is just waiting for you and your gaming group to fill in with the exploits of your characters. If Legend is not in your gamer's toolbox of fantasy games, you should fix that with this PDF. Even if you do not play Legend, the ideas presented in this game can be brought across to any fantasy game and enrich it with its different approaches to the genre. You can publish your own expansion material, settings, new rules options and the like for the game (you can find a compatibility logo over here on Mongoose's website). Your Legend games can then inspire and create games for others. You can create a completely new game based on the Legend system. This is what D101 Games did with the earlier RuneQuest SRD to create their great OpenQuest game. I talked about OpenQuest in a previous blog post here, if Legend sounds interesting to you, you should check it out as well. Legend is a solid game, a game that is well worth your time and effort to check out. I have a link to buy the PDF just below (which is selling for only $1 at the time this was written). If you have questions or comments about this review, you can find me over at Google+ or Twitter. If you follow me at Google+ and it isn't readily apparent for me why you are doing it, just drop me a mesage via my profile and let me know. You can purchase the PDF of Legend from RPGNow/DriveThruRPG. Yes, that is an affiliate code, but it helps me to be able to pick up new material to be able to talk about with you. I have a couple of the other Legend PDFs, and if there is enough interest in this I will talk about some of them as well. Let me know in the comments here and either of the places I mentioned above, if you would like to see further material talked about on this blog. And designers/publishers...you can reach me at either of the above links if you would like reviews done of your material as well.